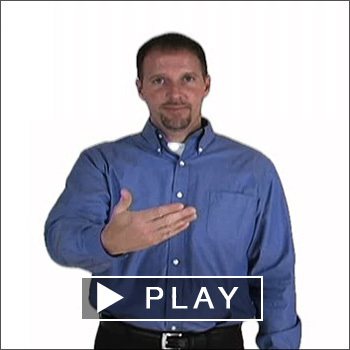 Since ASL is a visual-gestural language, not a spoken consecutive language, it can only truly be recorded in video and not captured in writing. Many writing systems have been developed for ASL, but none of them have reached a critical mass, probably because it is difficult to capture handshape, location, palm orientation, movement and non-manual signals in a written word. 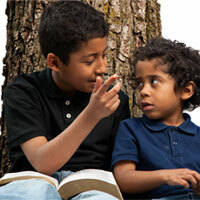 For that reason, when scribing ASL, many people rely on the linguistic convention called "glossing," which means writing a word in your native language for each sign that appears. This is not a perfect system, but it can be useful when discussing the syntax of other languages, signed or spoken. Glossing - Writing a word in your native language for each sign that appears. 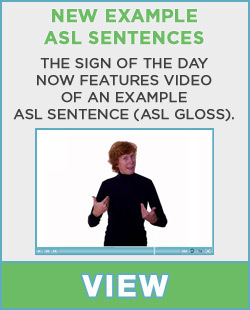 ASL is not a writen language, so glossing is not a translation, but a description of what was signed, including signs used, important body language, and accepted glossing symbols. 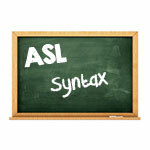 When writing an English gloss for an ASL sentence, conventions are followed. 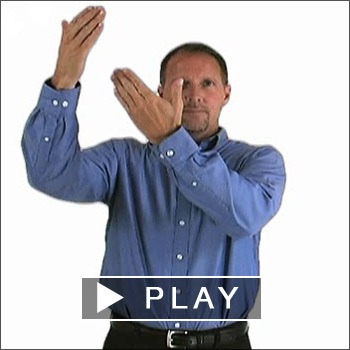 Classifiers - A classifier is a combination of a classifier handshape and movement root that are made to reference whole phrases with a single sign. First a signer will sign the subject, then they can use a classifier to describe something about that subject - what it looks like, where it is, how it moves or behaves. These are not all of the conventions, these are only a few. What other ASL conventions do you know? Share them in the comments below. Is there a comprehensive list or manual of conventions and glossing available anywhere?